The three bedroom Woodstock bungalow is affordable and makes efficient use of space in every room. 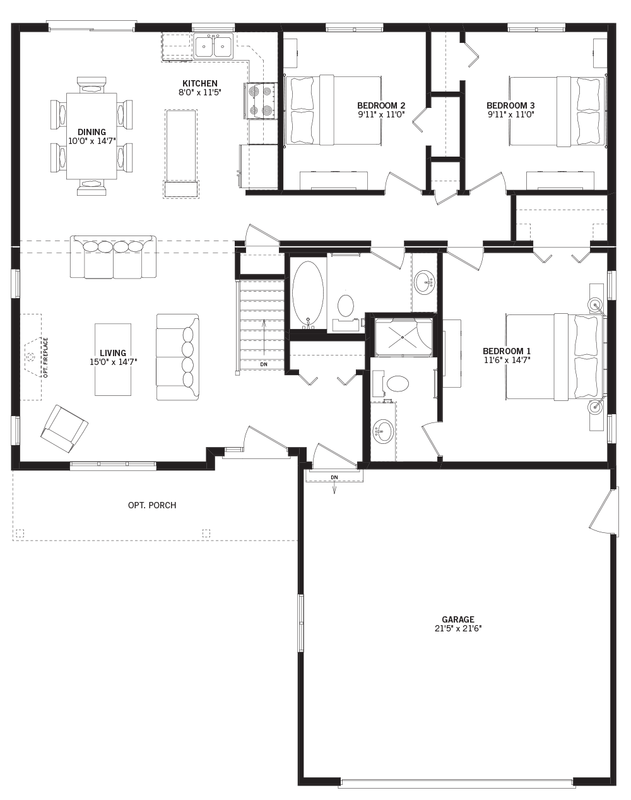 The spacious master bedroom has a private ensuite and his and hers closets. A large open concept area is versatile for creating your own kitchen, dining, and living spaces. 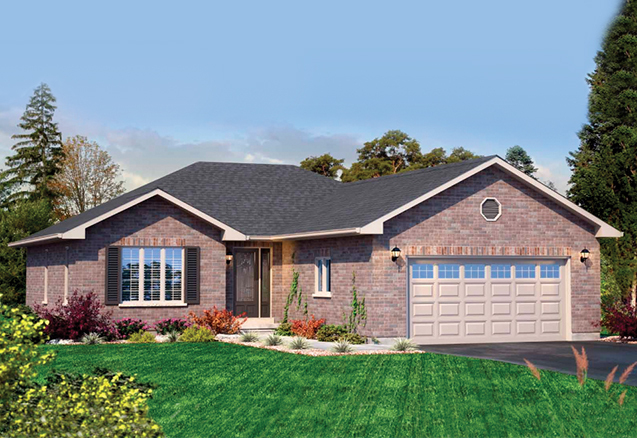 The Woodstock can accommodate a garage in front making this home suitable for smaller lots.